The master of divinity, or MDiv, is a professional graduate degree for people pursuing vocational ministry—usually a career as a pastor or theologian. The MDiv is the most common graduate degree for people pursuing a calling in ministry. Almost half of all students attending an ATS accredited college or seminary are pursuing a master of divinity. In some denominations, this professional degree is a prerequisite for leadership positions. It provides a thorough education in subjects that pastors and ministry leaders need to have an in-depth understanding, and it opens the door to advanced theological research degree programs such as a master of theology (ThM), doctor of theology (ThD), or doctor of philosophy (PhD) degree. But that doesn’t mean every master of divinity program is the same. The courses you take, the quality of the teaching, length of the program, and the theological perspective you’ll be most exposed to depend on the school you choose. Some schools will also offer concentrations, giving you the ability to decide how you’d like to focus your studies. 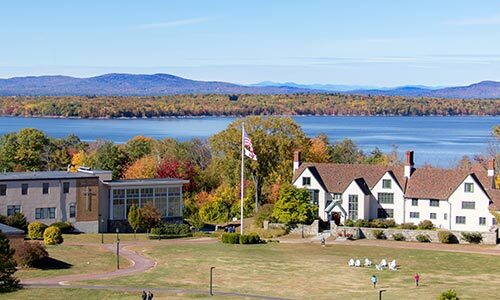 While there are more than 270 graduate schools accredited by the Association of Theological Schools (and plenty of seminaries with other accreditations) most of them don’t offer degree programs online. And of those that do, it’s usually slim pickings—the online selection isn’t nearly as robust as the on-campus selection. A lot of graduate schools only offer partially or mostly online programs, and require at least a short residency on campus. But some can be completed fully online, without uprooting your family or spending weeks or months away from home. 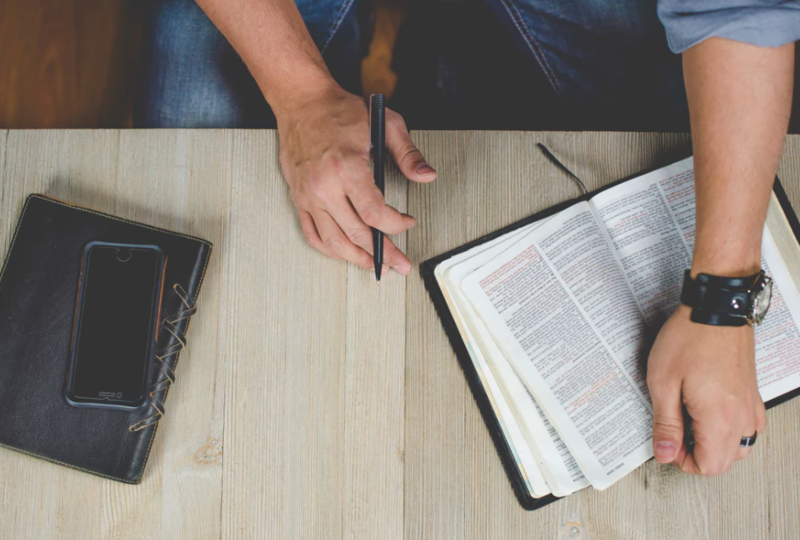 We tracked down every online master of divinity program and gathered the key information, so now all you have to do is decide which factors are most important to you. You can sort these schools by estimated tuition cost, denomination, accreditation, length, state, number of concentrations, or how much of the program is online. 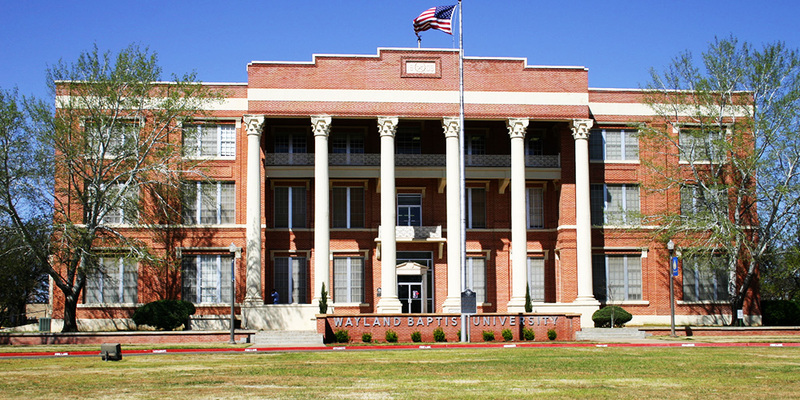 Click the name of a school to get a quick rundown of what sets it apart. Below the table, you’ll find more information about each school. Exegetical: Learn to read the Bible in its original languages. Functional: Learn grammar and syntax, then use Bible software to gain vocabulary and parse Greek and Hebrew text. Whichever track you choose, you’ll get a free copy of Logos Bible Software Gold, giving you a massive theological library and a suite of advanced Bible study tools. While Liberty University lacks ATS accreditation, this conservative college is at the forefront of online education. (They’re one of the best online schools in the US.) 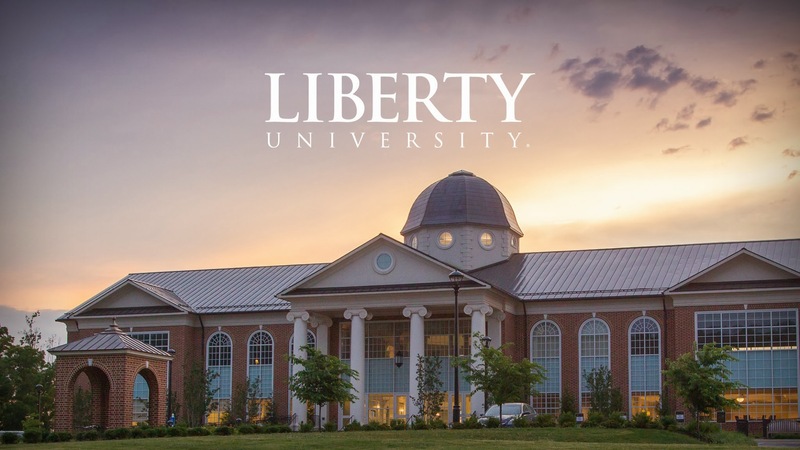 Liberty has the widest selection of online degree programs of any college, so it’s no surprise that their MDiv has an ample selection of specializations. The school is generous about transfer credits as well (you can transfer up to 75 percent of your degree from somewhere else), and if you already have a strong grasp of the Bible, Greek, Hebrew, or theology, you may be able to test out of some classes. Moody Bible Institute has five MDiv concentrations on-campus, but the pastoral studies track is the only one available online. You also have the option to blend an online and on-campus experience, but that’s still with the pastoral studies emphasis. The school says there are two internships built into the program, but it’s not clear if that means online students have to come to campus, or if you’ll be able to intern with a local ministry or church. Southeastern Baptist Theological Seminary’s online MDiv degree program was created in direct response to mission workers. Many Southern Baptist missionaries wanted to deepen their knowledge of the theology, biblical Greek and Hebrew, pastoral leadership, and biblical counseling, but it’s hard to commute to a Baptist seminary from rural Guatemala. Many missionaries need to choose between continuing their education and continuing their ministry. 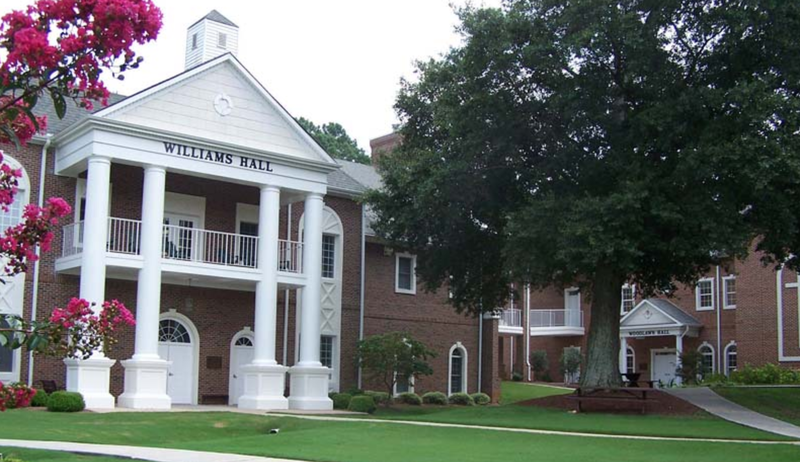 SEBTS doesn’t believe that needs to be the case, so they bring the education to people in ministry wherever they are. The advanced master of divinity is recommended for those wishing to be pastors, and the Christian ministry concentration is designed to be more customizable, providing 12 credits of electives. Grand Canyon University offers a pastor-focused online master of divinity program. While the classes can be completed online, there is a residency requirement built into the degree. These weeklong campus visits provide a “conference-style environment” at key points in the program. 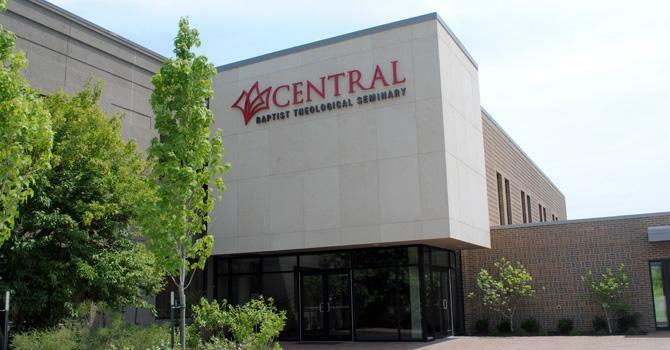 On campus, New Orleans Baptist Theological Seminary offers a wealth of concentrations for MDiv students. Unfortunately, online students can only choose the standard track. However, you can substitute some of the core classes for ones that align more with your calling. Additionally, there are 16 electives, so you can basically build your own concentration. 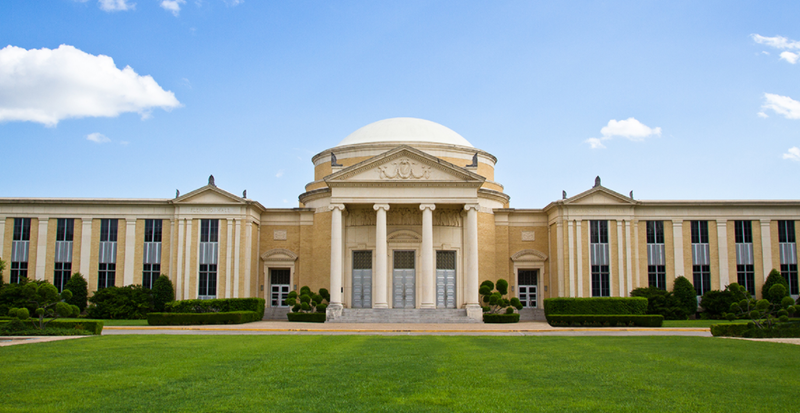 Southwestern Baptist Theological Seminary’s online MDiv is primarily intended to prepare students to become pastors, but the vast selection of concentrations and plenty of electives make this a good choice, whatever your calling. You can choose to take classes synchronously, tuning into the live on-campus sessions, or asynchronously, watching the recorded lectures on your own schedule. There are several practicums built into the program, and to complete these online, you’ll have regular interactions with a professor over email. Every college and seminary degree from Luther Rice is available online—and they’ve been delivering online courses for more than 10 years. Students have two choices about how to complete their MDiv at Luther Rice. You can choose the standard track, which lets you apply your electives to any other master-level course at Luther Rice, or you can choose the biblical languages concentration. The standard track gives you 24 credits to play with, and the biblical language track applies all of those to Greek and Hebrew. If you don’t go with the biblical languages concentration, there are no required courses in Greek or Hebrew. Still, it doesn’t have to be all or nothing. On the standard track, you can always use a couple electives to get an introductory understanding of these essential languages. WBU doesn’t offer any concentrations for online MDiv students, but the program does include three electives. If you’re open to a hybrid program, Wayland Baptist University has 12 other campuses throughout the US (and one in Kenya). There could be one near you. And since Wayland Baptist University has a campus in Kenya, they can send professors and students to Africa for various sessions. Note: To apply to the master of divinity program at WBU, you need to provide a letter of church endorsement, where a member of your church staff must confirm your involvement in the church. While you don’t have to be a member of the Church of the Nazarene to be an MDiv student, the online program fulfills all academic requirements for ordination. Fun fact: NNU was the first school with a fully online MDiv. program ever to be granted associate membership by the Association of Theological Schools. In Chicago Theological Seminary’s online master of divinity program, your coursework can be completed fully online, but there are two components that aren’t online. You’ll have to complete a 400-hour clinical pastoral education and a parish or community field placement. These hands-on experiences are coordinated through the director of theological field placement. Note: CTS also has an online program that combines a master of divinity with a master of social work. However, concentrations at Gateway Seminary only make up 10 of your 90 credits. The biblical studies concentration has six elective credits, and the youth ministry concentration has four. So even if you don’t have the same selection of concentrations as an on-campus student, you can still take a couple courses and cover a good chunk of another specialization. Courses at Gateway Seminary are asynchronous, meaning there’s no required meeting time, so your classes fit into your life—not the other way around. 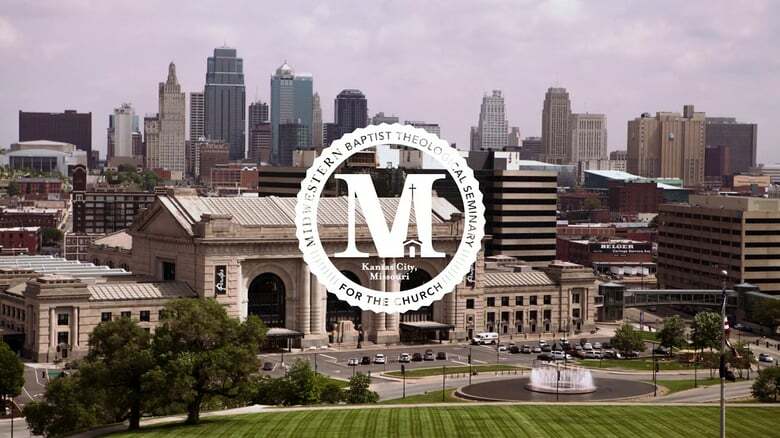 The standard online master of divinity program at Midwestern Baptist Theological Seminary is 81 credits. If you want to take on a concentration, that’s going to add another 9–15 credits to your course schedule. The Christian education and youth ministry concentrations include three elective credits, and the leadership concentration has six. Church planting and counseling do not allow you to take electives. The standard MDiv track has nine elective credits. Each concentration adds practicums to your curriculum, and the counseling concentration includes an internship as well. These still shouldn’t require you to come to campus, but you may need to work with a local church or ministry to complete them. Midwestern encourages students to have some kind of face-to-face connection outside of the class. Every course has an “Online Connect” component that makes up 5 percent of your grade. Before the end of every term, you need to either: attend a conference hosted by Midwestern, meet with someone in your church, or write a report on a book faculty have selected for you. Whatever you choose, the intention is that you apply what you learn in every class. If you’re not satisfied with your learning experience in the first course, Rockbridge will fully refund your tuition. Every class at Rockbridge Seminary is available online. While their master of divinity program doesn’t offer concentrations, it does include 12 elective credits. Note: The only biblical language course in the curriculum is one that teaches you how to use Bible software to understand Greek and Hebrew. 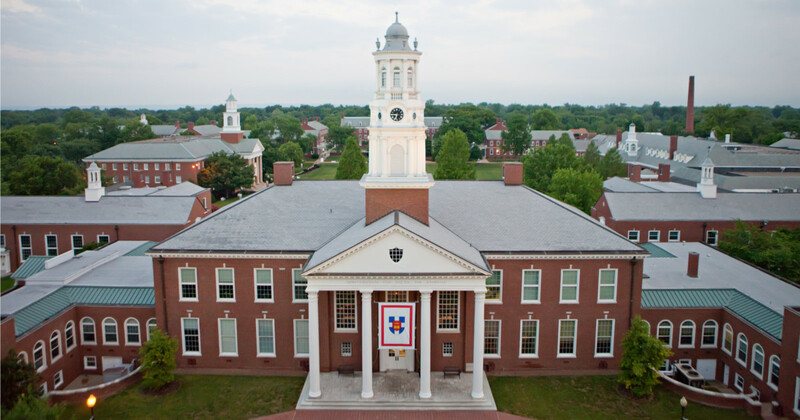 Regent University School of Divinity offers an online MDiv program that blends elements of their master of theological studies and master of arts in practical theology programs. Regardless of the concentration you choose, there are optional practicums and internships if you’d like to get hands-on experience. Want to know who you’ll be learning from? Bethel University’s MDiv faculty include esteemed scholars such as Dr. Mark Strauss and Dr. Jeannine Brown. 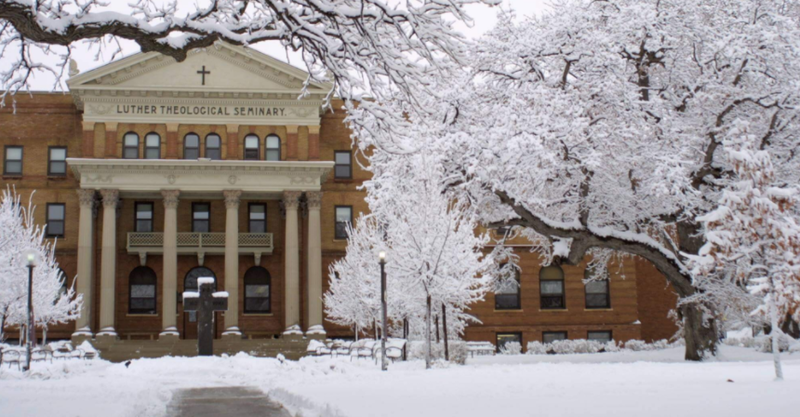 At Denver Seminary, engagement is a high priority for their online MDiv students. Every week, your course content will be coupled with an Interactive Learning Activity, which is typically some form of video chat with faculty and other classmates. Depending on the activity, you may be recording videos or discussing the content live. This is part of Denver Seminary’s “Next Generation Online Learning” program. Additionally, you will have local field-based education to connect what you’re learning online with the world around you. There are no concentrations in the online MDiv program, but depending on if you choose the three- or four-year track, there are 18–22 elective credits to work with. That’s about one fourth of your degree that’s open to whatever you want to study. As an online MDiv student at Crown College, your theological education culminates in a “summative experience” where you’ll complete a supervised capstone project and a calling and vocational assessment. This is seven of your 72 credits. 15 of your credits come from either your choice of emphasis or general electives. The emphasis options are intended to help you craft your education to fit your calling. It’s also possible for online students to graduate with both an MDiv and a master of arts in either Christian studies or ministry leadership. The University of Denver’s Iliff School of Theology offers one of the most expansive online MDivs available. Nearly half of this 120-credit program comes from electives and other non-core classes, so you can shape your MDiv around your goals. Two to three times a year, Iliff school of Theology’s online MDiv students meet at their Denver campus for “Gathering Days.” These on-campus visits last two to five days and provide an extended time for face-to-face classes, guest speakers, social events, getting to know your cohort, and prayer and worship. Illif’s online MDiv includes a variety of certificate programs, which are essentially concentrations. These certificates are generally three or four courses (12–16 credits) each. Since Illiff’s MDiv has many elective credits built into the program, earning a certificate doesn’t have to increase the length of your degree. At some point during the program, you’ll participate in a 12-credit internship. Note: If you’re seeking ordination as an elder in the United Methodist Church, one third of your MDiv needs to be completed on-campus. At Knox Theological Seminary, about two thirds of your MDiv can be completed online, and the rest has to be finished on campus. There are no concentrations, but you get 21 credits of electives. The master of divinity program includes a nine-month supervised internship. Biola University’s Talbot School of Theology lets MDiv students take “up to 49 percent of the program online.” All students are required to complete a concentration. Four Greek and four Hebrew courses are built into the standard curriculum, but if you’re already familiar with biblical languages you may be able to test out of the beginning courses. To graduate, you have to complete a thesis or, if your advisor is OK with it, you can take six electives instead. There are 15 elective credits in the MDiv program, but they have to be applied to biblical studies or practical theology/ministry courses. Southeastern’s program culminates in either a thesis, practicum, or elective course (in pastoral ministry, theology, or Bible). Most courses are in biblical studies and practical theology/ministry. Northwestern Theological Seminary has an extremely affordable online MDiv program that can be finished in less than two years, even without transfer credits. There’s one concentration available: ministry. Almost one-third of the program is thesis work. If you don’t already have a bachelor’s degree, you can enroll in an online dual bachelor’s/master’s degree program. Students have 18 free elective credits which can be applied to a concentration. On campus, the program has 21 concentrations, but after speaking with a representative from SBTS we’ve confirmed that two of the concentrations on the website are not available to online students (worship ministry and biblical and theological studies). SBTS recommends the Christian ministry and Great Commission studies concentrations for online students because they’re easiest to work into your course schedule. The other concentrations can be completed online, but it will take some planning to ensure you don’t wind up taking extra classes and lengthening your program. Corban University lets you complete your master of divinity fully online or as a hybrid of online and on-campus courses. The program is designed to take three years full time. There are two MDiv tracks: church ministry and biblical languages. 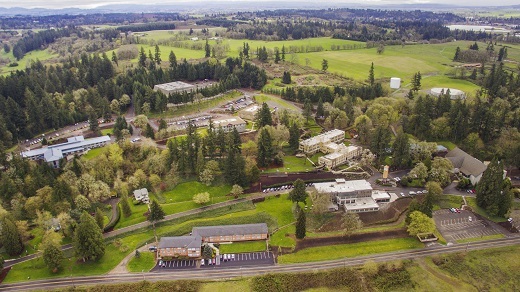 Corban University’s name has an interesting origin story, and it tells you a lot about the heart of the school. You’re required to take two biblical language courses, but you can decide if you want to take Greek, Hebrew, or both. While SFBC’s tuition is pretty low, they have a steep $150 online fee per course. That adds up to another $6,000 before you finish your degree. Note: SFBC expects MDiv students to already have one year of beginning Greek under their belts. If you haven’t taken Greek before, a beginning Greek course will be added to your program. Columbia International University offers an online MDiv that can be completed in three years. There are four concentrations available, and you can switch between them at any time before you finish your degree. You can learn more about each of the concentration options here. In the second year of the program, online students begin an internship of their choice. There’s an internship course which walks students through the process, and a seminary mentor to help along the way, but it’s up to students to find an organization to intern for. There are no specialization options, but you do have 12 elective credits. NTS has a four week residency requirement, and online MDiv students spend one week on campus every fall. During this time, you’ll take three courses and participate in a retreat each year. This accounts for a total of 28 credits. 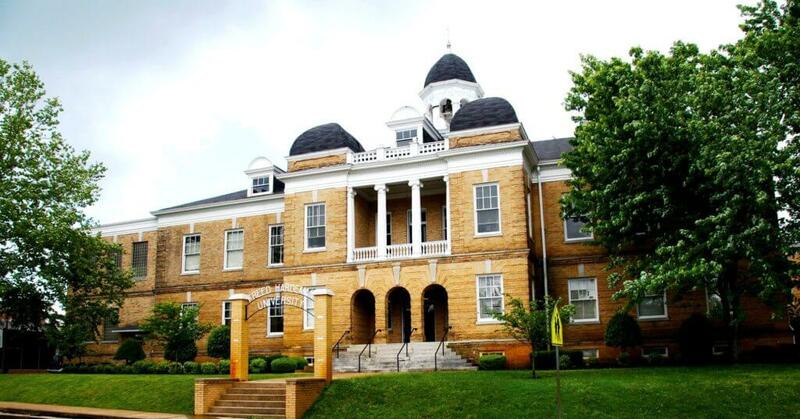 Asbury Theological Seminary has a fully online MDiv program with a wide range of specialization options. Each specialization is 15 credits. You’ll also have nine elective credits to apply to other studies. If you want to pursue a specialization, you have to declare it before you finish one third of the program (32 credits). Choosing not to specialize will give you more elective credits (24 total). If you have a religion major or minor from an accredited college, you can earn up to 18 credits towards your MDiv. Note: You can combine your MDiv with a master of theological studies for a dual degree, which saves you 15 credits. SJC’s MDiv doesn’t have any specializations, but you’ll have 18 elective credits. Undergraduate SJC students can enroll in the MDiv “fast track option.” Ordained deacons can also enroll in the accelerated track, which saves 18 credits. An optional residency summer allows you to complete the program faster. The program culminates in a three credit thesis. Luther Seminary lets MDiv students complete two thirds of their degree online through a distributed learning program. Twice a year, students spend two weeks on campus to work through the remaining third. There are seven MDiv concentrations available through Luther Seminary, and it takes five or six classes to complete them. Ten elective courses are built into the MDiv program, so in theory, you could complete two concentrations and still finish your degree in the standard time. Like the on-campus MDiv, Luther’s online MDiv requires a one- year internship. Students are also required to go through a candidacy process, which varies depending on the denomination you intend to serve in. 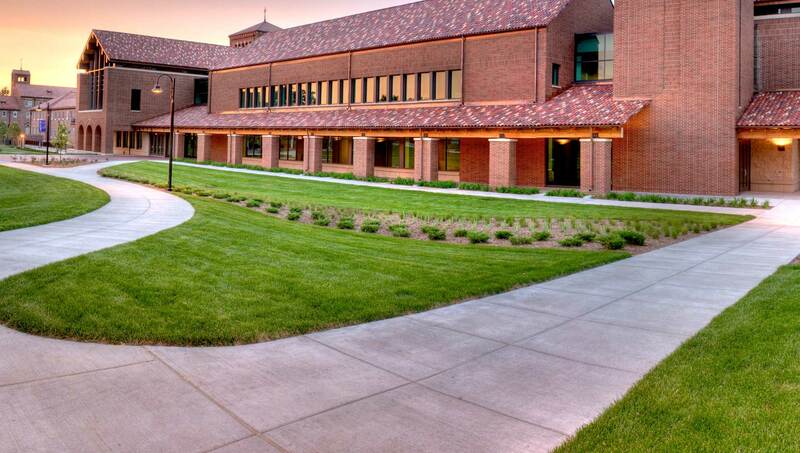 Note: Luther Seminary doesn’t actually use a credit system like other schools. There are 30 classes in the MDiv program, and their academic catalog uses courses and credits interchangeably. We took the liberty of assuming these classes would be the equivalent of three credits each. Anabaptist Mennonite Biblical Seminary offers a hybrid MDiv program through their distance learning program, called Connect. The degree includes three concentrations, which they refer to as majors. 53 credits are fully online, and 27 come from hybrid courses which require some time on campus. Twice a year, AMBS online students head to campus for week-long intensives. Note: Courses in Anabaptist Mennonite Biblical Seminary’s MDiv program are available to “guest students” from other seminaries who are looking for specialized graduate-level courses. Online MDiv students at United Theological Seminary can complete their residency requirements in as little as four weeks. Most of your core courses are in “practice of ministry,” but you’ll also devote courses to biblical studies, church history and theology, and spiritual formation. The master of divinity program includes three open elective courses, plus four electives you can apply toward a concentration. If you don’t wish to choose a concentration, you can use these four electives on other courses, too. Halfway through the program, you’ll be evaluated on your progress. By the end of the program, you’re required to have a graduate portfolio of your work. 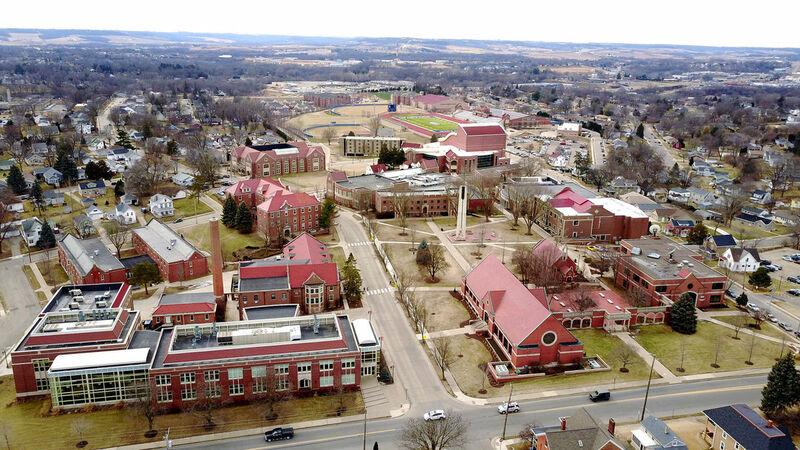 University of Dubuque Theological Seminary offers a distance MDiv degree which can be completed mostly online. Every August, you’ll head to campus for a two-week intensive where you’ll get to know the faculty and students who you’ll be learning from and with. UBTS uses a cohort model, so you’ll take courses with the same classmates throughout the program. There are no concentrations in this online MDiv, but more than 25 percent of your credits (21) are electives. Dubuque has offered this fully-accredited distance education MDiv for more than a decade. Note: You won’t find UDTS listed under the Association of Theological Schools’ members, but the distance master of divinity program is an “ATS approved exception” because of their reduced residency requirement. Phillips Theological Seminary offers an online MDiv degree program that focuses on Bible, history, theology and ethics, and practical theology. There are no concentrations, but you get 15 elective credits. One third of the program has to be completed on campus. These are “team taught,” interdisciplinary courses PTS believes are “essential for pastoral formation, knowledge, wisdom, education, and ongoing leadership.” These courses will serve as touchstones throughout the curriculum. Freed-Hardeman University offers a fully-online master of divinity degree with a broad curriculum. There are no concentrations, but students choose courses in each of the program’s major categories. You don’t have to follow a set course schedule and can focus your studies on the topics that interest you. FHU’s program is lighter on ministry than a lot of the others on this list, but it also offers a broader range of other subjects. There is a supervised internship built into the program as well. 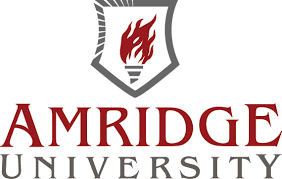 Amridge University is a distance-learning-only institution, and they offer a highly flexible online master of divinity. There are 13 required courses and 13 elective courses. There are no concentrations, but your electives can either come from an assortment of nine major course subjects or hone in on two of them. There are no required biblical language courses, but Amridge recommends you use some of your elective courses on Greek and Hebrew studies. Your final class is designed to synthesize everything you’ve learned throughout the program. Indiana Wesleyan University offers a hybrid master of divinity program that requires about one third of your courses to be completed on campus in Marion, Indiana. If you’re a Wesleyan pastor, Indiana Wesleyan University winds up being one of the most affordable online master of divinity programs. Like a couple of other schools on this list, IWU requires a letter of endorsement from your church. Additionally, you need to be involved in a ministry for the duration of the program. 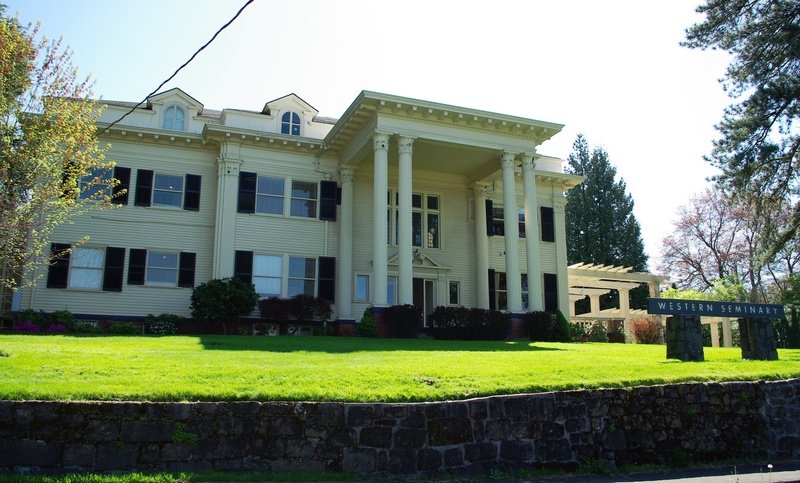 Lexington Theological Seminary has a hybrid MDiv program with a unique course schedule. One third of the program needs to be completed on campus. The master level is where students complete a capstone project, which addresses an issue in your local congregation. Students work with local church leadership and LTS to devise several strategies to approach and solve the issue. This project involves extensive writing. Throughout the MDiv program, courses vary in length from two, four, or eight weeks. There are numerous required classes, some of which are only worth half a credit. Most courses are available online, but some must be completed as part of 10-week intensives on campus. There are no concentrations, but the program includes 28 elective credits. Anderson University offers an online master of divinity program through their School of Theology. Students can choose to take courses in standard 15-week terms, or accelerated 8-week terms. Online classes at Anderson University meet online from 7:00 PM–8:00 PM once a week, but most of the course content is delivered asynchronously in videos and readings. There are no concentrations, but you get a total of 12 elective credits—three in biblical studies, three in theological studies, and six in ministry studies. There are no concentrations and no elective credits. While that means you don’t get to customize your education, it also means you don’t have to make choices. If you’re easily intimidated by too many options, this school could be a good pick. Note: The website doesn’t say this program is online, but we contacted CBTS to confirm: the MDiv is fully online. 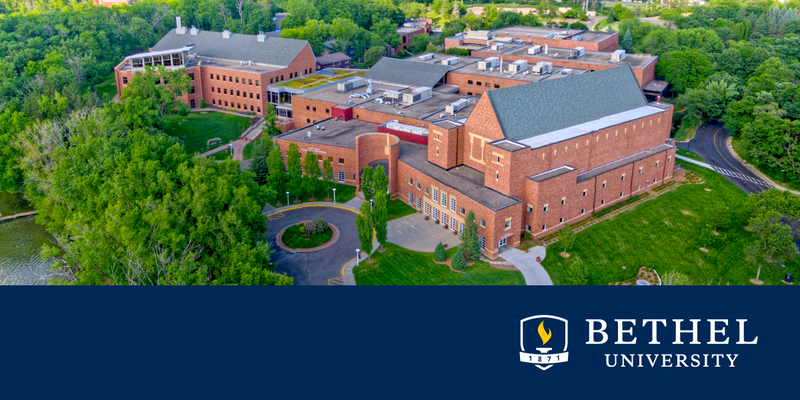 Clarks Summit University’s Baptist Bible Seminary offers an online MDiv degree that focuses on the biblical languages, theology, Bible, and church leadership. There are eight concentration options which include an 18-credit paid internship. The internship can be completed locally. In addition to the internship, concentrations include anywhere from 7–20 credits in courses. Note: In order to be admitted, you cannot be divorced, married to a divorced person, or separated from your spouse. In order to graduate, you must agree to the doctrinal position of Baptist Bible Seminary within four years. Shiloh University is a distance-education-only institution, and they have an extremely affordable master of divinity program. In addition to the 74 credits in classes, students must accrue 400 hours of ministry experience over the course of the program (300 of which needs to be supervised). There are no concentrations, but you have 15 elective credits which you can apply to ministerial studies, biblical languages, or biblical studies. You can make alternative arrangements for taking the final exams, but the other on-campus experiences are required. 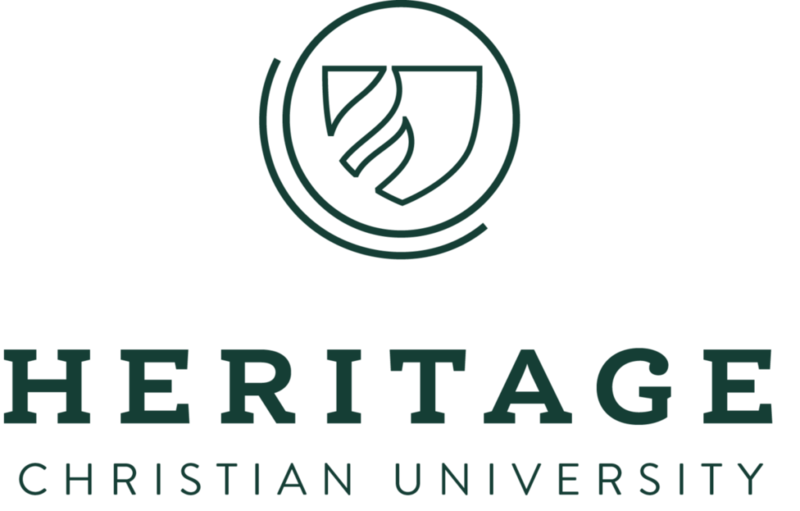 While Greek and Hebrew are offered as concentrations, HCU also requires five biblical languages courses in the core curriculum. There is a practicum, which can be completed locally. World Mission University offers an almost fully online master of divinity degree program. They have a pretty simple residency requirement: you just have to take one class on campus. Before you can graduate, you must pass a comprehensive Bible exam and complete a final ministry project on an approved topic that interests you. Note: While they don’t have regional accreditation, WMU has a stamp of approval from four major Christian accrediting bodies. 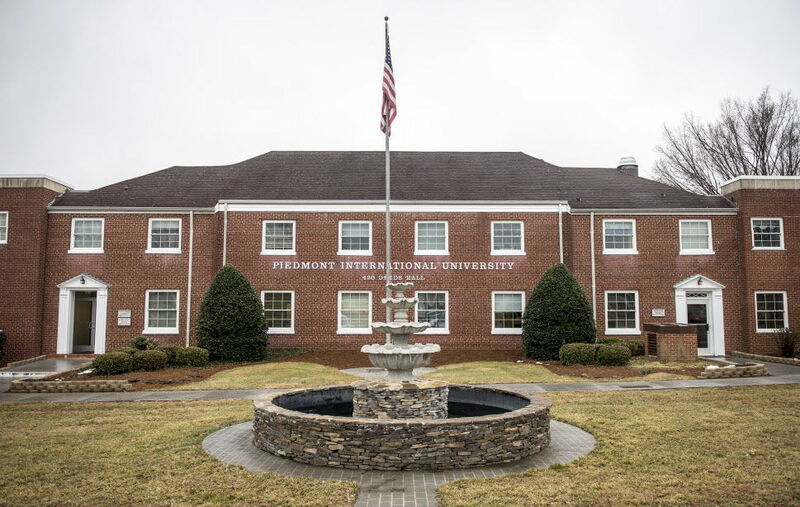 Piedmont International University offers two separate online master of divinity programs: languages and non-languages. As you might expect, one of these includes biblical languages courses, and the other does not. The languages program requires two Greek and two Hebrew courses, and the non-languages program has additional biblical studies courses instead. This is the only significant difference between the two programs. With a good score on the GRE, you can get into PIU’s online MDiv program without a bachelor’s degree! 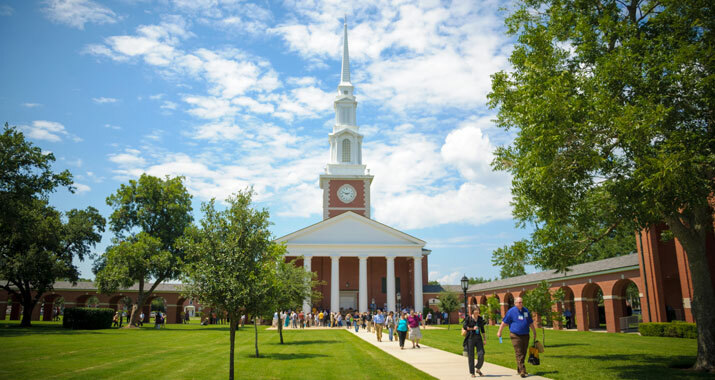 Virginia University of Lynchburg offers an MDiv that can be completed partially online. Two thirds of the program must be completed on campus. Availability of online courses varies, so you’ll likely need to take online and on-campus courses throughout your studies. There are two biblical language courses built into the curriculum. Note: Virginia University of Lynchburg is a historical African American institution founded more than 130 years ago. There are no concentrations and no elective credits. University of Northwestern St. Paul has a unique online master of divinity program. It’s a dual degree program that can be completed in less than for years. 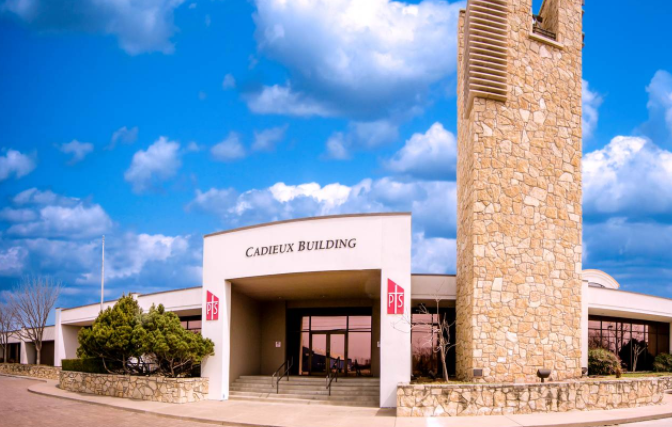 The MDiv program is technically only 40 credits, but UNSP’s master of theological studies is a prerequisite for their MDiv, so you’ll start with a 36-credit MATS degree program. It’s about the same amount of work as most MDiv programs (less than many on this list) but you walk away with two graduate degrees. Surprisingly, even in this dual-graduate degree program, there are no required courses in the biblical languages. For the most part, the entire curriculum fits into these two categories: biblical studies and theological studies. The MDiv curriculum culminates in a supervised internship which you can complete with a local church or ministry. Faith International University offers one of the more robust online master of divinity degrees. At 136 credits, you can expect you’re going to get a little of everything, though it is a little lighter on practical ministry courses than some of the other programs. Online MDiv students at FIU are required to take 6–8 biblical language courses. There are no concentrations, but students have a high degree of choice throughout the program. In each major category of study, there are 20 credits of specific electives which allow students to choose courses within a subject, and there are 12 open elective credits as well. Note: To be admitted, you must sign and agree with FIU’s statement of faith. Additionally, you have 21 elective credits to use on other interests or fill out the categories above. There are no concentrations. If you already have an undergraduate degree in some form of biblical/religious studies, odds are you can probably get out of those classes. Otherwise though, the program is 87 credits. Note: A practicum is built into the practical ministry curriculum. Southern California Seminary provides a 100 percent online master of divinity program with a focus on biblical studies and theology. There’s a supervised internship built into the program, and the curriculum culminates in a thesis paper. Hope International University offers a fully online master of divinity program (with optional short-term residencies). About one third of the curriculum focuses on developing ministry skills. The program is technically only 72 credits, but if you don’t have prior biblical or theological training, you’ll need to take an additional six credits of Bible courses before you can take most theology or Bible-related courses. You’re required to take three biblical language courses. To fulfill most requirements, students can choose from several courses. You’re required to take four courses within one of these concentrations. Southwestern Assemblies of God University has a regionally-accredited online master of divinity degree program. There are no required courses in biblical languages, but every MDiv student at SAGU takes two counseling courses. There are 12 elective credits, which you can apply to a concentration. If you’re planning to pursue a PhD, SAGU’s master of divinity program has a thesis option, but keep in mind this replaces your concentration. The program requires two annual intensive sessions on campus. If you’re currently serving in a ministry position, The Kairos Project is a special distance-learning program designed for you. One of the projects’ more unique offerings are mentor teams. A faculty member partners with someone in your ministry and a personal mentor to help keep you on track and craft unique assignments that meet the required outcomes within your personal context. The Kairos Project still requires the two annual intensives on campus. While there are no specializations listed, Sioux Falls said in an email, “Really we have unlimited specializations depending on the student’s context. We create individual development journeys.” Their MDiv program sheet says students can work with a professor to essentially create a concentration based on their interests. Did we miss any online MDivs? We tracked down every online master of divinity we could find. We called colleges. We emailed admissions offices. But schools add programs. College websites change—sometimes even the names of schools change, and all links to the old website break. (Looking at you, Gateway Seminary.) And we’re not perfect. So you might know of a program we haven’t heard of. If that’s the case, let us know so we can make this list more helpful for other people. The same is true for pursuing your graduate studies, or moving beyond your MDiv to doctoral studies. As you’re looking at where to start your MDiv, keep in mind that where you earned your bachelor’s affects where you can earn your master’s, and where you earn your MDiv affects where you can go next. If you’re really attached to a school but aren’t sure if they will recognize your degree or accept your credits, call them and talk through your situation before you get too invested in the process. Thankfully, you have so many options for where to get your online master of divinity that even if you decide that you need to transfer, there are plenty of other schools for you to finish at. Some of these programs will even let you transfer 75 percent of your degree from somewhere else. We listed every possible option because we can’t tell you which degree program is best for you. And you shouldn’t let anyone else try to tell you that either. This is a personal choice based on your personal goals and preferences. As you weigh your options, think about what kind of leader you want to be. Some schools are heavy on practical ministry but light on biblical studies, or vise versa. Is learning to read the Bible in its original languages important to you? Do you need or want hands-on experience? Your faculty play a huge role in the quality and focus of your education. Who do you want to learn from? If schools list their faculty, look them up. Find out what they’re experts in and what books they’ve written. Maybe even read them. We hope this list has made your decision a little easier. 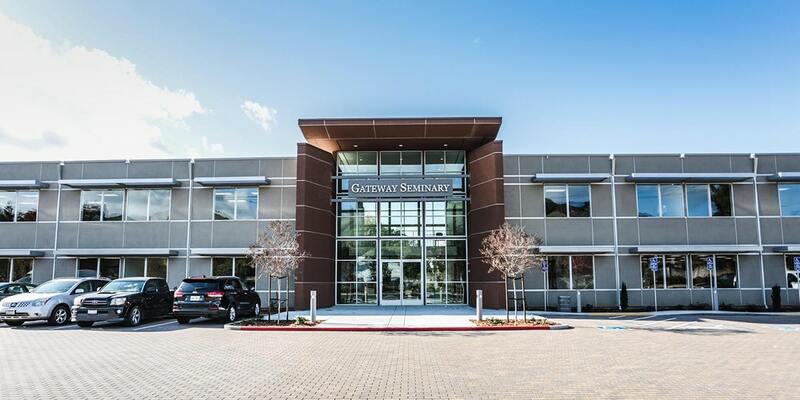 Golden Gate Seminary changed its name last year to Gateway Seminary. As a result “Golden Gate” accreditation info does not show up in the WASC or ATS lists of accredited schools – Gateway Seminary does. All our degrees have been both WASC and ATS accredited for decades, and “Golden Gate” – now “Gateway” was one of the first schools to receive ATS approval to offer the entire MDIV online. I am from Nigeria. I need to pursue an MDiv degree from tuition-free accredited Bible / Theological institution in the USA. Are you looking for an online MDiv program? We’ve listed every online MDiv program we could find. There are tuition-free schools in the US, some of which are accredited (but you’ll need to be careful to make sure that accreditation checks out), and a couple of them might have MDiv programs . . . but I don’t think you’re going to find a free program you can pursue online. I would think your best bet would be finding a school on this list that you’re interested in (try sorting by tuition cost), and then look into what sorts of scholarships they offer. You’ll probably need to call or email the school directly to see what they can do for your specific situation. I hope this helps. Oklahoma Wesleyan University has a an MDiv online program.